Millions of men experience male pattern baldness. Many are embarrassed by their thinning hairline and seek medical interventions. Propecia is a popular drug used to stop and even reverse this type of baldness in men. 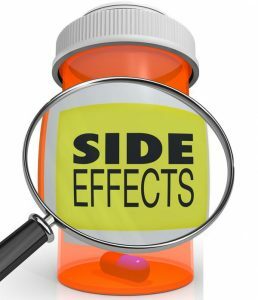 In recent years, certain effects of the medication have come to light that may cause you to rethink your treatment strategy. George Washington University research shows that men who use Propecia are at risk for developing serious sexual dysfunctions. Even more startling is the fact that these outcomes can be permanent in some men even if they stop the treatment. These results are from a study that involved 54 men ages 39 and younger. At least 96% of the study participants experienced these issues for more than 12 months after they ended treatment and stopped taking the drug. However, it is important to note that the pool of study participants is extremely small compared to the number of men who have used this drug since it was approved by the FDA in 1997. A new study, also by the George Washington University, suggests that men who experience these sexual side effects of Propecia are likely to reduce alcohol intake. Only about one-third of the men surveyed drink at the same level they did before starting treatment. It is possible the drug is altering brain chemistry and causing some men not to like alcohol as much. The study, published in Alcoholism: Clinical & Experimental Research in June 2013, does not posit a clear cause-and-effect relationship between the drug and reduced alcohol consumption. Talk to your doctor before taking this medication. You want to know the risks are low for you personally rather than moving forward based on a general assessment. With this information, your doctor can determine if you are at higher risk for developing long-lasting or permanent sexual dysfunctions. He may be able to predict how you will react to alcohol after starting Propecia. You then can use this information to decide if taking the drug is the best treatment option for dealing with your male pattern baldness.